Learning grammar and improving your writing skills isn't enough to master the English language. You must understand common English idioms if you want to pass the CAE or CPE examinations. Frequently, the answer to one of your reading test question will lie behind an idiom that you are not familiar with. The same applies to the listening test, you might understand most of what is being said only to get lost after hearing the obligatory idiom. 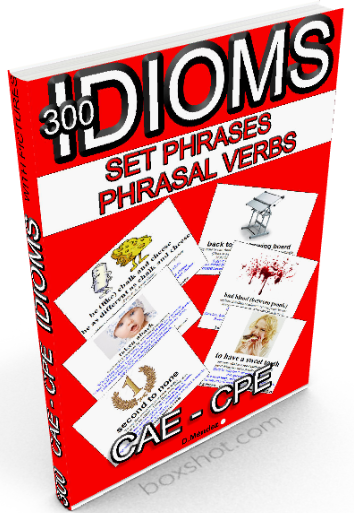 This book contains 300 of the most common idioms that usually turn up in CAE and CPE examinations.